On a recent flight, the commercial aircraft’s intercom chirped with an announcement: “Please return unwanted newspapers to help further our commitment to environmental sustainability.” While the sentiment was admirable, the request was laced with heavy irony given the immense carbon footprint individual passengers bear whenever they board a flight. In rocketry as in air travel, it is easy to overlook the environmental implications of the aerospace industry. One company has begun work on a propellant which might help to alleviate that. To be sure, spaceflight is not a major factor in climate change. 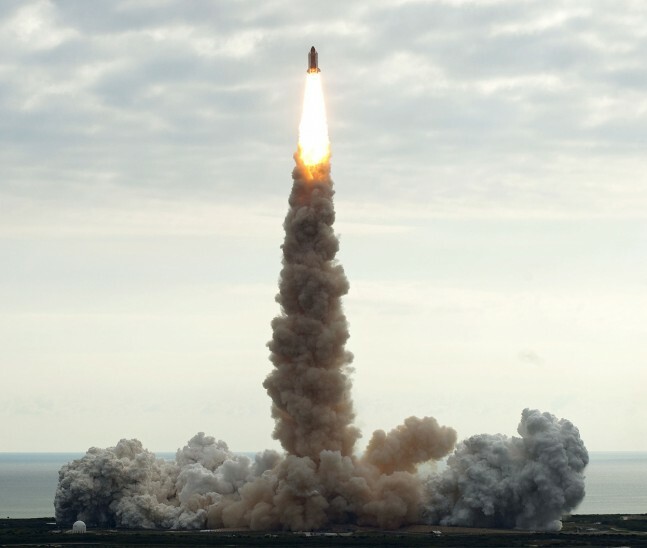 Low numbers of launches, compared to the use of cars or airplanes, keeps their impact limited. In 2009, researches estimated that as much as five percent of the world’s total CO2 emissions were derived from air traffic. Rocket launches, by contrast, only contributed to approximately one percent of ozone depletion in that year. While launches have since increased, and the use of certain ozone depleting particles curtailed, the percentage of climate change associated with rocket launces remains negligible. Nevertheless, in an industry often at the forefront of climate change research, there remains the continued awkward use of less-than-clean propellants. 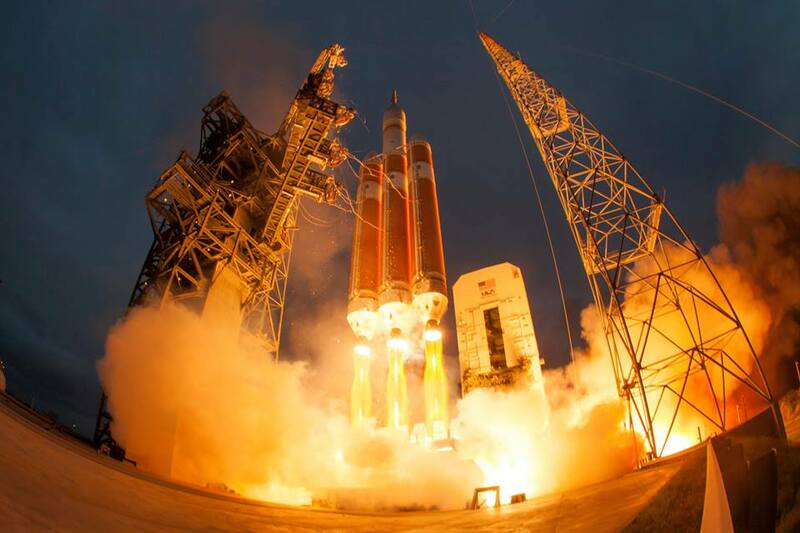 As Slate noted, rockets pour reactive agents directly into the stratosphere, which combine with venting soot and aluminum particles in the upper atmosphere. Solid-fuel rockets are particularly studied and thus known to be destructive. Burning solid-fuel, as National Geographic has written, emits chlorine gas in the stratosphere. When combined with oxygen, the result is a fast-acting ozone depletion. Hypergolics are also commonly used, which are “substances that are so reactive that when they come into contact with each other, they combust. A common combination is hydrazine and nitrogen tetroxide,” the waste product of which is nitrogen oxide, which mixes with atmospheric water to form nitric acid. 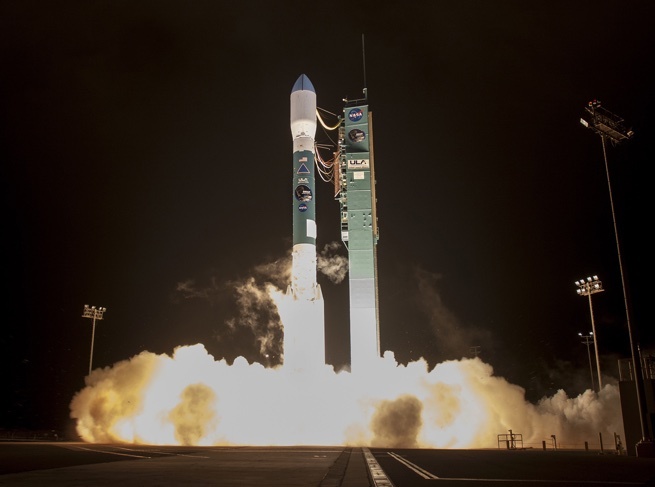 That is why Aerojet Rocketdyne was recently awarded a contract to begin exploring greener propellants for rocketry. The effort comes in partnership with the U.S. Army Aviation and Missile Research, Development and Engineering Center; the U.S. Air Force Research Laboratory at Edwards Air Force Base; and the U.S. Army Medical Command. The contract is funded through the Strategic Environmental Research and Development Program within the Department of Defense. The three-year contract will be executed in experimental phases. 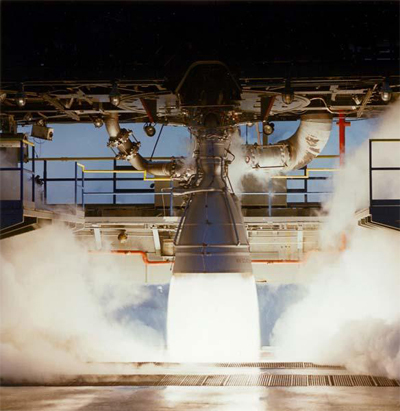 First, Aerojet’s research arm in Washington State will begin with small-batch testing of various monopropellants. Monopropellants do not require oxidizers, and while not always as effective pound-for-pound, can be more environmentally friendly as a result. Candidates which the team determines to be promising leads will then be scaled-up at the Sacramento Chemical Synthesis Laboratory, and finally thruster testing of selected propellants will provide greater detail on thrust and environmental impact. Aerojet has already begun experimenting with next-generation propellants. The company notes that it has already completed designs for the 2016 NASA program Green Propellant Infusion Mission, which will use the Air Force’s greener AF-M315E. Hydrocarbon propellants such as kerosene have to be burned fuel-rich in a rocket engine because any excess of oxygen tends to burn up the engine as well. A staged combustion engine design tends to burn its fuel more completely but still has to run a bit fuel-rich in the main combustion chamber. Methane is the simplest hydrocarbon, has pretty good performance and in a staged combustion engine, should burn with less carbon. It’d be nice if such an engine could run ever so slightly oxygen-rich, but that’s huge challenge to realize. SpaceX plans to convert to methane, mostly for cost reasons as well as performance; lower environmental impact is a side benefit. 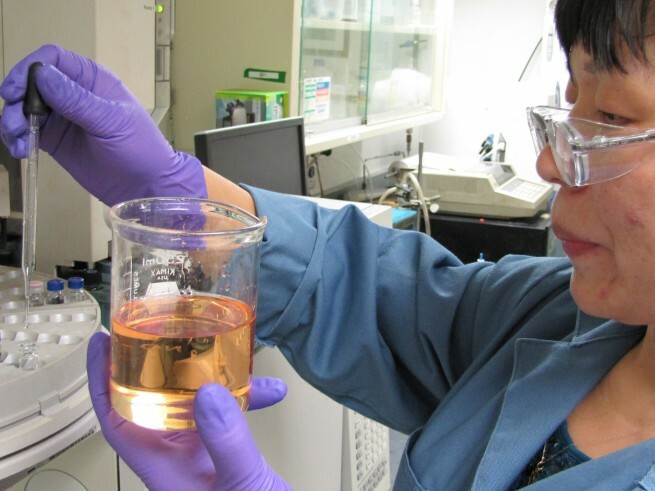 Eliminating chlorine from solid propellants isn’t easy, but it can be done. For example, water can be a very good oxidizer for aluminum. Eliminating the very energetic aluminum fuel will be very difficult. Finding a clean-burning monopropellant with decent performance and very low pollution is a challenge. There’s at least one new monopropellant chemistry that’s an improvement on hydrazine. Methane does not work, been there done that. you don’t get the bang for the buck. That all depends on where you’re spending those bucks! Methane leaves no coking deposits in regenerative cooling lines for the ground crew to worry about for reusable rocket engines. Once reusability is achieved throughout the market, that sort of operations cost factor will be crucial to competitiveness. Methane fuel can be made easier than anything else on Mars, where the intended user of the LOX/Methane Raptor engines will be sending passengers, and then coming home after loading propellant from Mars and Phobos In Situ propellant generation suppliers. ULA obviously likes these advantages as well, since they have selected the BE-4 from Blue Origin for their next competitor to SpaceX Falcon Series rockets. True, the LNG they will burn runs a bit cooler, but the power all comes from the Methane it contains. It’s a challenge already met. While NASA/DoD works with their old cost+ contractors on the likes of the corrosive Hydroxylammonium Nitrate for the GPIM in 2016, other smaller compaines keep getting put off, perhaps till their patents run out. Those patents would be on the NOFBX propellants developed at Firestar Technologies, in Mojave, CA. NOFBX (Nitrous Oxide Fuel Blend Experimental) propellants use a base of Nitrous Oxide for an oxidizer that doesn’t light off till it reaches 1300 degrees. Then they blend in hydrocarbons that have the same vapor pressure profile as N2O, like Ethane, and Ethylene. The N2O is a monoprop all on it own, with an ISP around 180, because it decomposes to Nitrogen and Oxygen gas above 1300 degrees. Mix in appropriate amounts of the hydrocarbons, and you get a sea level ISP of 266, and 310 in vacuum. Add in another high energy compound that decomposes on its own, but is stabilized by being disolved in N2O, acetylene, and you can get up to 325 seconds ISP in vacuum. The NOFBX series, and its exhaust products are nontoxic. It has passed safety tests right up to TRL 6. It only remains to fly it to gain its entre to the market dominated today by Aerojet’s Hydrazine thruster series. This propellant moved forwards for some years under NASA sponsorship, and was due to be tested on ISS at one point. Then, without a clue I could find about why, that was stopped. Since then, a DARPA program, ALASA (Airborne Launch Assist Space Access) has intended to use NOFBX. However, just as they were ready to cut metal, their budget has been cut in half. It is unknown to me just how long this will delay the program, but delay with yet another NOFBX flight program must help whatever competitors Aerojet/Rocketdyne comes up with. Almost *any* other monoprop is less poisonous than Hydrazine. From High-Test Hydrogen Peroxide to HydroxlAmmonium Nitrate to NOFBX, they are not going to kill you anything like so often as Hydrazine. Each of those 3 monoprops can be used as a green propellant, to the extent of them producing non-toxic exhaust gasses. However HTHP is highly caustic, while HAN is highly acidic in solution. NOFBX is neither. Sorry! The idea that Michael Mann’s hobgoblin, CO2, is somehow less green as an exhaust product than Hydrazine, that can kill you very painfully just from being spilled on your skin, is a hoot! Yes, even though most of it decomposes, one of Hydrazine’s decomposition products is poisonous anhydrous ammonia, and Hydrazine is always one of the exhaust products of Hydrazine thrusters, because its decomposition is *not* 100 percent. That this anti-CO2 joke plays well with administration supporters is politically potent, but a technical joke. In summary, more articles on green propellants *are* needed, and I encourage the author to write more on the subject. However, make sure that you use more than Aerojet’s press releases as your source materials. I’ve been trying to get some information on what happened with the NOFBX tests on the ISS. It’s sad to see that the program was stopped. Do you have any reference mentioning that the program has stopped, or do you have any idea if it is going to be re-started at some point?